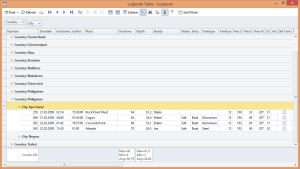 The new logbook table editor for Diving Log 6.0 is now finished and I want to show you what’s new. 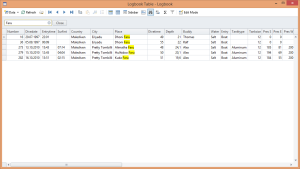 I’ve already written a blog post about the table editor in version 5.0 and all features carry over to version 6.0, e.g. 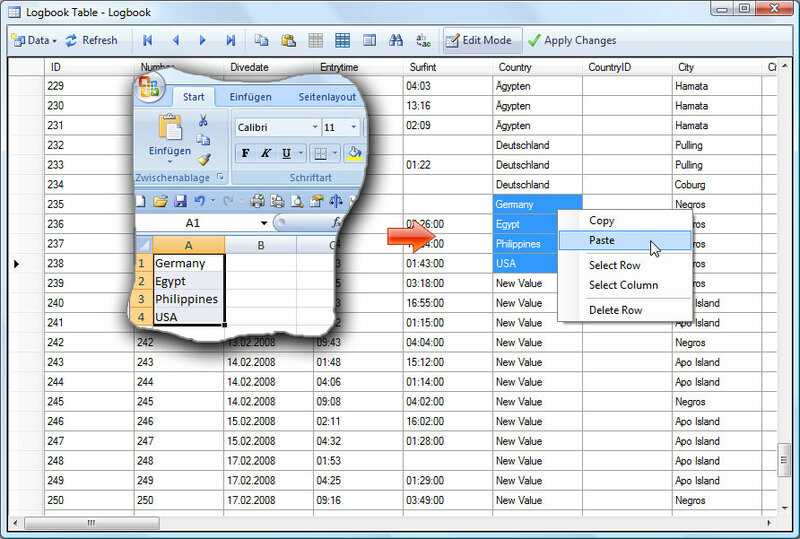 editing multiple cells at once, copy and pasting data from one cell into multiple other cells, copy and pasting from Excel and many other features. 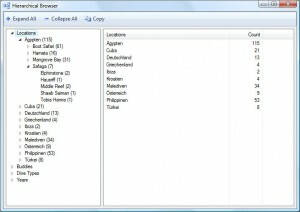 In this blog post I want to show you just the new features. 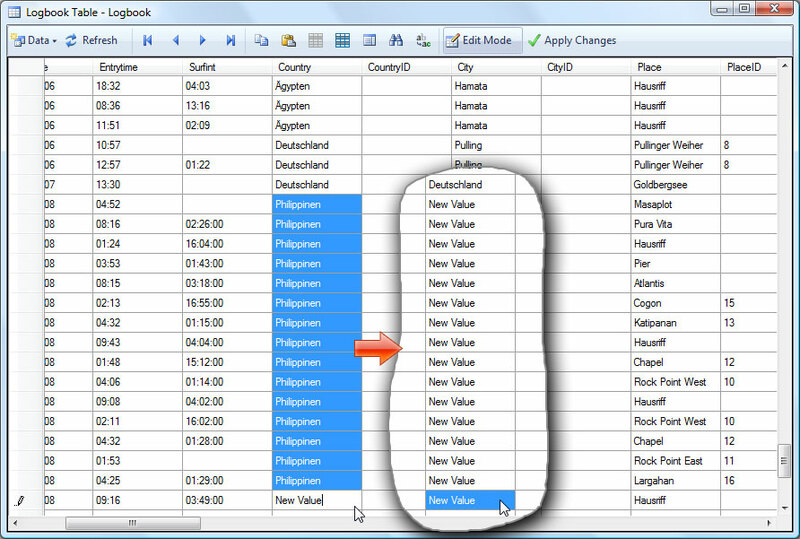 You can now group, search, sort and filter fields. 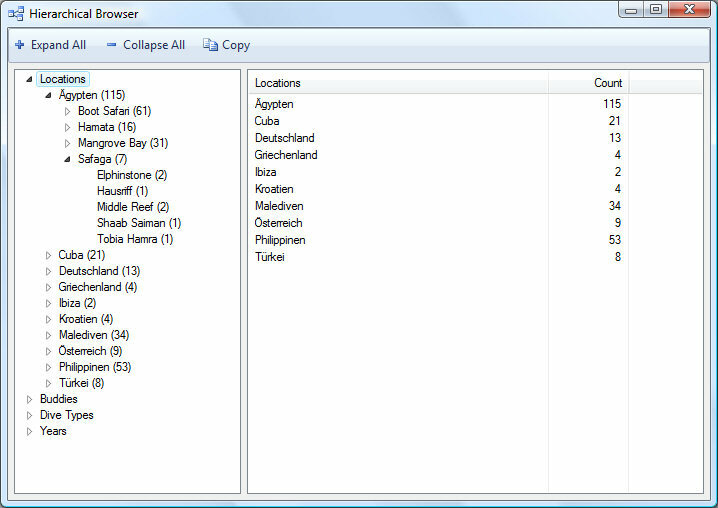 In the screenshot below, you can see that the dives are grouped by country and city. 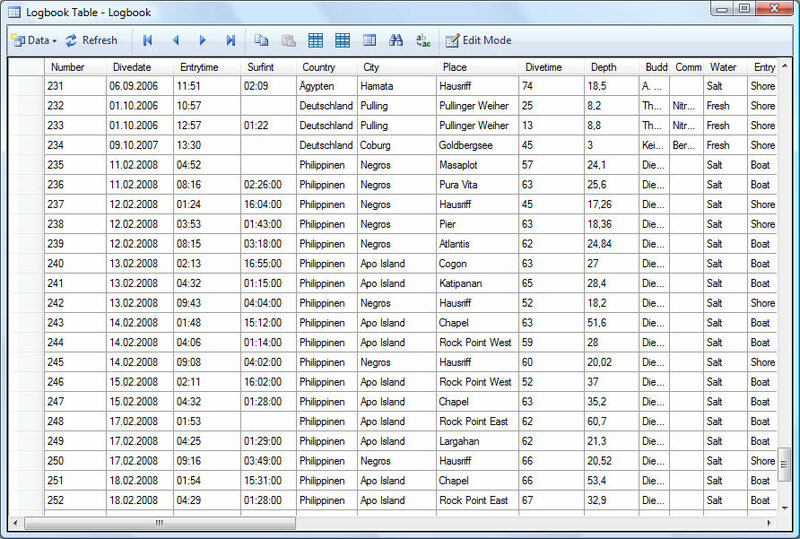 You can also see the summary panel at the bottom, which displays statistics based on the filtered dives. Clicking on a column header will sort the data. 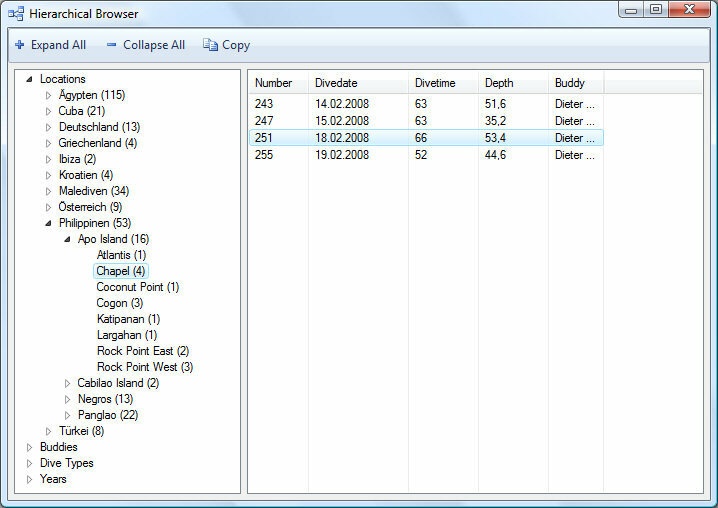 The build in search panel provides real time search, filter and highlighting functionality. 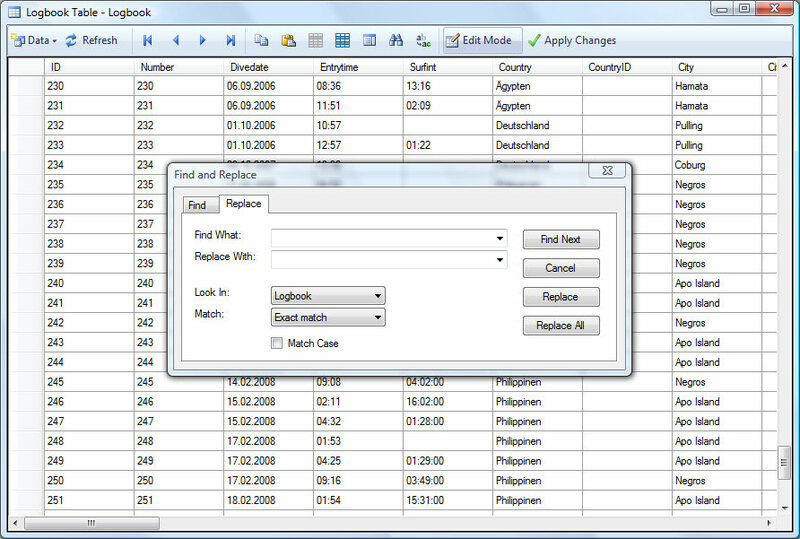 The search and replace window from version 5.0 is still there and can be accessed from the “Replace” toolbar button. 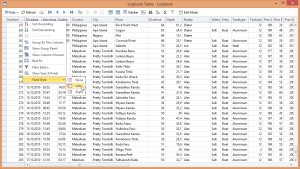 You can pin columns to the left or right (fixed columns), so they stay in view if you scroll horizontally. 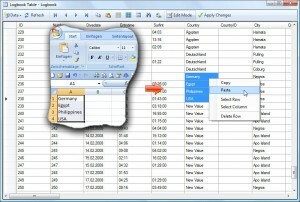 You can also remove and reorder columns, by dragging them with the mouse. 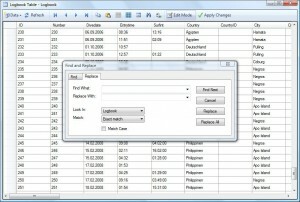 Right click the column headers to get a context menu with many additional features. 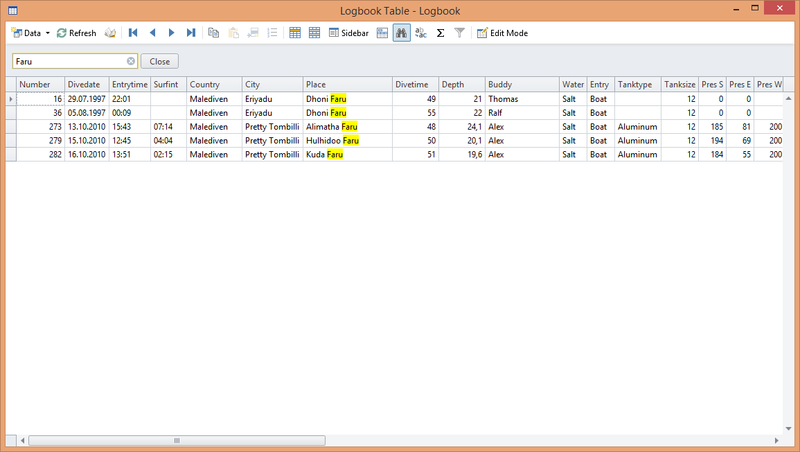 To quickly add new data to your logbook, you can now add any number of rows to the end of the table. 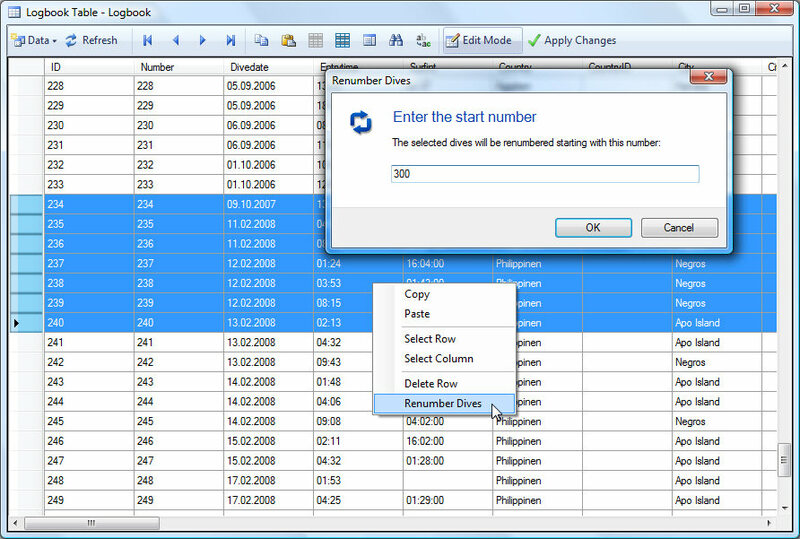 Then you can start filling the data fields with the normal data editing capabilities, including multiple cell editing, automatic renumbering of the selected dives, pasting from Excel, etc. 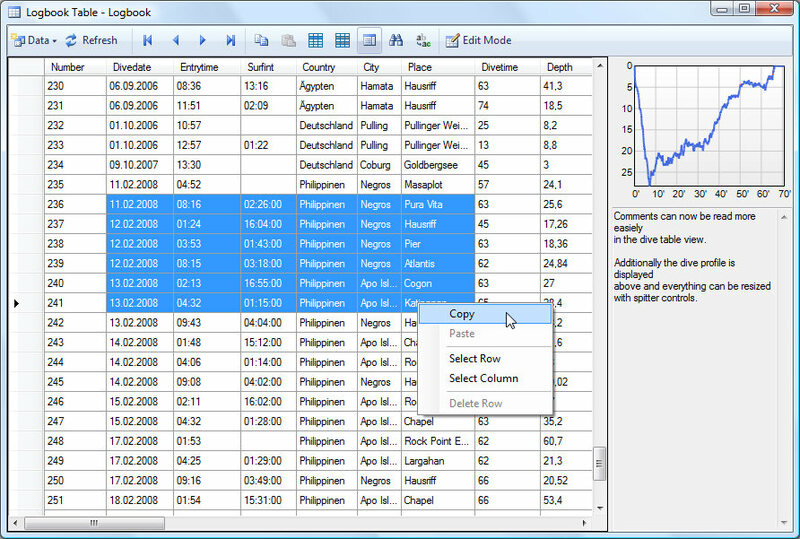 This is just a quick overview of the great new datagrid control in Diving Log 6.0. 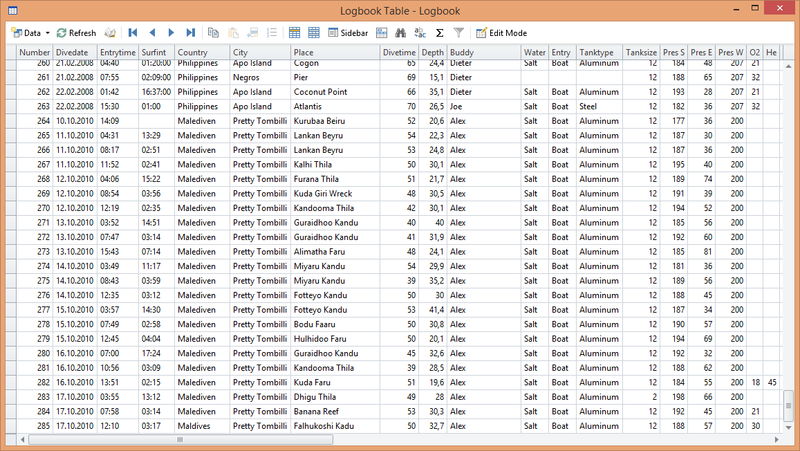 Today I want to show you the logbook table window of Diving Log 5.0. 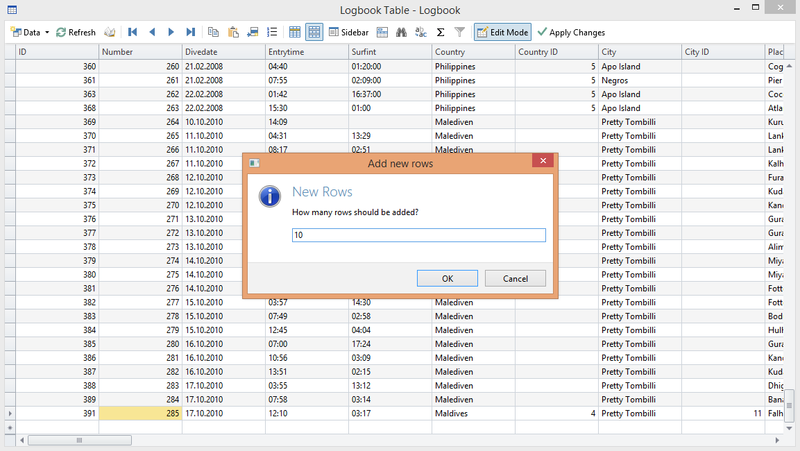 This window got some significant improvements which will make especially those users happy, who hasn’t Microsoft Access installed. 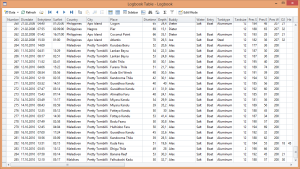 As you may know, Diving Log is using an Access database as logbook file which gives you the possibility to edit the raw data of your logbook directly in the database. 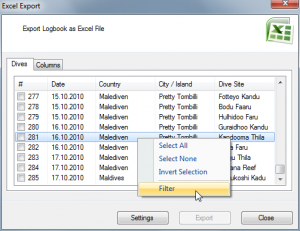 The advantage is that this is a very easy and fast way to enter or modify a large number of dives or importing data from Excel, for example. 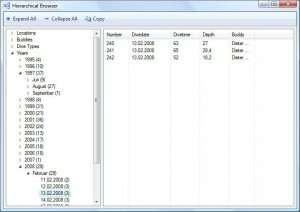 But Access is only included in the expensive Office versions, so most users probably won’t have it. 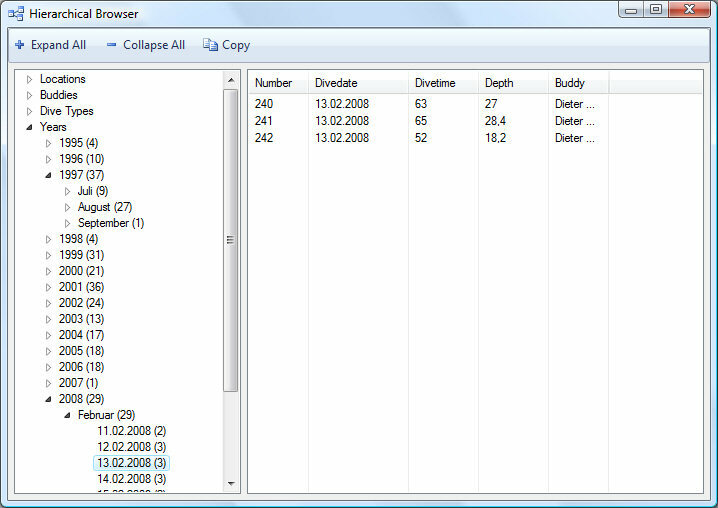 Another great feature is the new find and replace window. 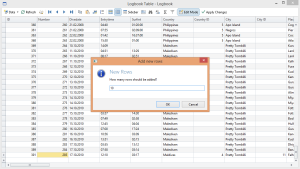 You can see this window in Access or Excel, this one in Diving Log is almost identical and is a great help if you want to replace data from a large amount of records. 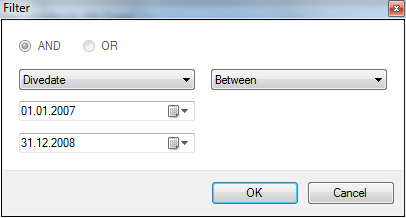 In edit mode you can use the replace function you see in the screenshot above. 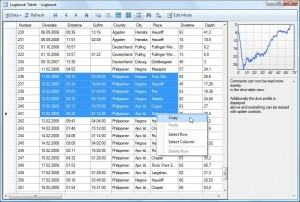 But you can also edit the raw data directly in the grid in the same way as you could do it in Access or Excel. 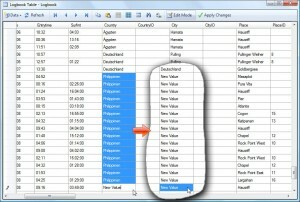 As an additional feature you can select several cells and start typing. 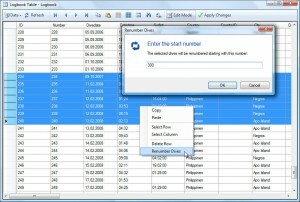 When you press enter, all selected cells will contain this data. 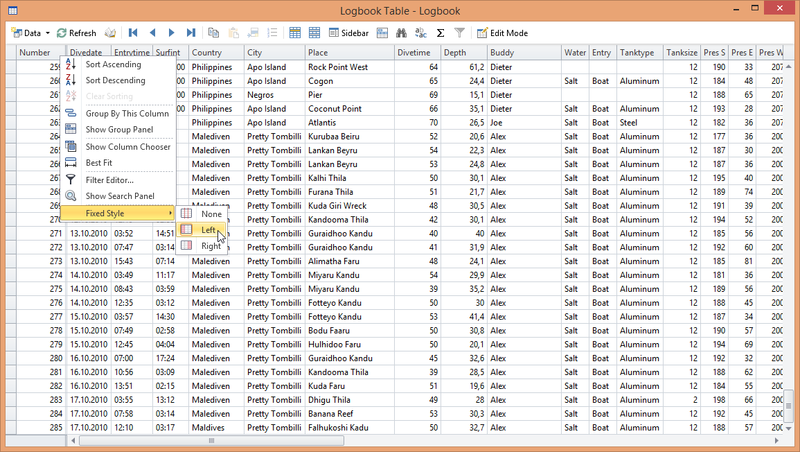 You can copy and paste single or multiple cells within the Diving Log table or between Excel and Diving Log. 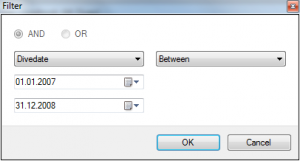 If you copy a single cell, then select a range of empty cells and paste the data, the data will be pasted into all selected cells at once. 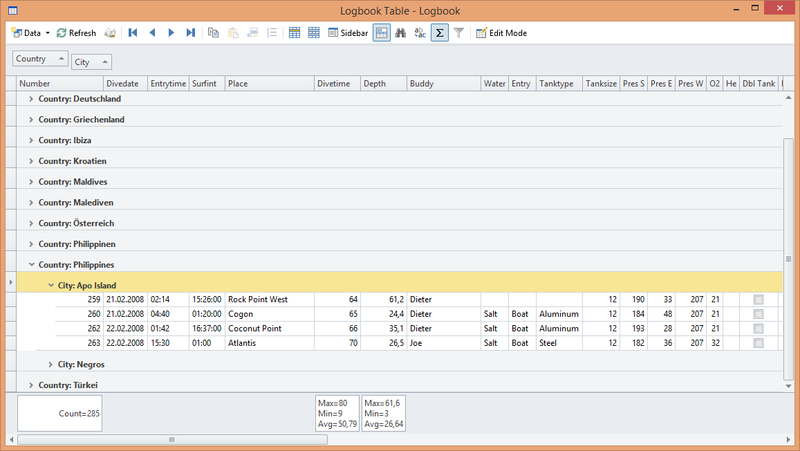 As you can see, the logbook table window is now a really powerful feature and extremely useful if you don’t have Access installed. 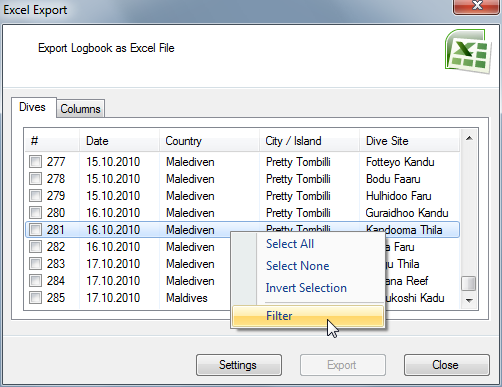 If you have some dives in Excel, this is also an easy way to get your data into Diving Log. 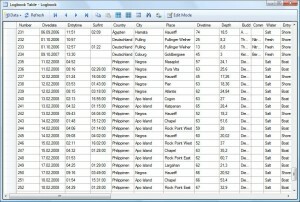 Because you edit the raw data as it is stored in the database, the table editor supports only metric units when it is in edit mode. 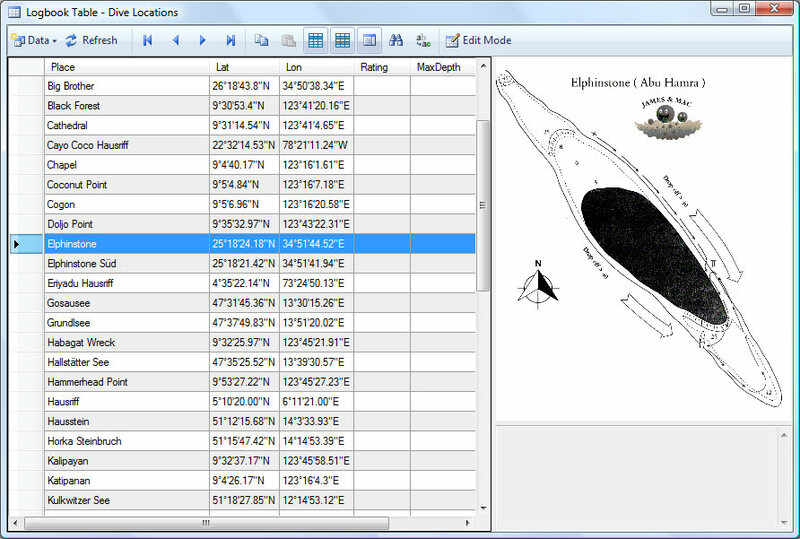 In view mode the table displays also imperial units. 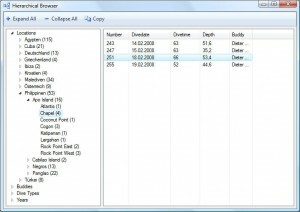 This editor supports the standard keyboard shortcuts like Ctrl-C (Copy), Ctrl-V (Paste) and Ctrl-F (Find).